Sometimes, prosecutors just want to have some fun. 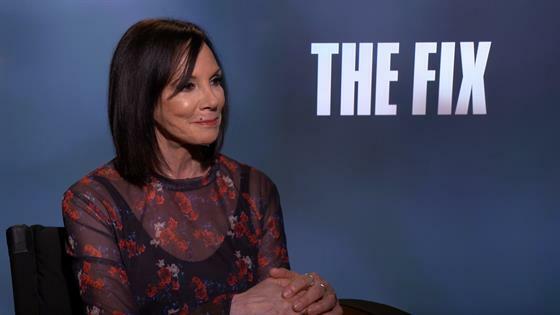 Marcia Clark's new ABC show, The Fix, may look and sound and feel an awful lot like a very real-life case that Clark was famously involved in, but the show isn't necessarily her way of sending a message. "I just wanted to have fun," she told E! News at the TV Critics Association press tour. "I really did." 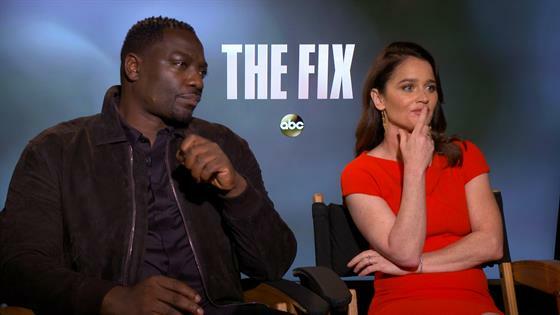 The show centers on Maya Travis (Robin Tunney), a former Los Angeles district attorney who has basically been in hiding since she lost a high-profile case in which she prosecuted an A-list actor Sevvy Johnson (Adawale Akinnuoye-Agbaje) for a double murder. Now, the actor is suspected of another murder, and Maya gets back on the case. Clarke, of course, was one of the prosecutors on the OJ Simpson case. The idea for the show came from creators Elizabeth Craft and Sarah Fein, who Clark says she's worked with before. They brought her the basic premise of the show and she thought it was a "fabulous" idea, and the fact that it's not really her real-life story is the best part of it for her. "The fun of it for me is that this is not me," she says. "Maya Travis is not me, and Sevvy Johnson is not OJ Simpson. So there are certain trappings that we used to get audience recognition, so we're all on the same page very quickly. Everybody understands this is the place setting, this is the table we've set, but we take it in completely different directions. So we get to explore behind the scenes...all the personal drama, and the people involved in the case, and what the pending case does to them." That said, it's hard not to watch the show and feel like most of Maya's experiences come from something very real. "You might feel that way in a more general sense," she says of whether audiences will feel like the show is portraying her actual experiences. "There are universal themes that are addressed for sure, and through Maya we see what it's like to be a woman working in a world that's largely still run by men, so in that sense, yes, because I'm a woman." Clark says it's "surreal" to look back on her life and to now be here, writing and executive producing a TV show very loosely inspired by her own life, but it's not totally out of the blue. "I loved writing crime fiction since I was a kid," she says. "I was making up crime stories and murder stories when I was five years old, so there's a way in which it's kind of full circle." While Clark is writing and producing the series, she's staying out of the acting, even when it comes to Robin Tunney's portrayal of the disgraced prosecutor. Tunney says she had a good mix of being able to say Clark's words without having to play Clark herself. "She was very hands off which I was really relieved about, because it would be a lot of pressure to have somebody sitting in a chair being like, I wouldn't wear that, I wouldn't walk like that. It would be too much," Tunney says. "I think that it is very much her origin story, and the great thing is that dialogue that she wrote are things that only somebody who's been through this could actually write, and it was a pleasure to say them. So it was the best of both worlds. I had somebody I could trust, but she wasn't sort of like a helicopter over, because that would have been too much pressure." For more from Tunney, Akinnuoye-Agbaje, and Clark, hit play on the videos above! The Fix premieres tonight at 10 p.m. on ABC.